Blog > Book Review > Discover the amazing Pompomania and win a copy! Discover the amazing Pompomania and win a copy! Did you love spending rainy days making pompoms at home as a child? If so, then maybe it is time to step up your pompom game and rediscover just how fun they can be! Christine Leech’s new book Pompomania is guaranteed to get you all obsessed about them again. Christine Leech is an absolute expert in anything craftsy! She has a blog called “Sew Yeah” and now writes a craft feature for LoveKnitting. Check out her cute pompom bunny tutorial for us. She has also written multiple books about sewing, felting, printing and scissor crafts! So when we heard that she is writing a book about pompom-making we were instantly sold! Her book Pompomania came out a few weeks ago and we were lucky enough to be invited to her VIP book launch at Smashbox Cosmetics London where we were treated to everything a girl’s heart could desire – make-up, sweets, cheeky cocktails, and of course pompoms! Click on this image to see more information on the book! The book features over 20 different types of pompoms, with truly unique ideas and combinations. The instructions are easy to follow thanks to the step-by-step photos and clear instructions. All you need is a pompom-maker, some yarn and some sharp scissors and off you go! What a perfect way to spend a Wednesday night. We had a great time making a couple of pompoms each and even managed the cute ones with heart-shapes on them. The book sure has something for everybody, with a pompom-bonsai tree, smiley-faces, a mini pompomeranian puppy, or even a spooky Mexican Day of the Dead skull creation. WIN A COPY OF POMPOMANIA! Try your luck at our “Spot the difference!” game. Just find the differences between the two images below and let us know in the comments how many you found. We will pick two winners to receive a copy of Pompomania. The game ends on the 15th of April 2016. Love this event and book review? Follow us on Bloglovin’ so you never miss a post from us! Csilla adores soft and snuggly accessories and thinks there is no better way than making them yourself. She loves knitting, yoga and picnics in the park. Last updated: April 4th, 2016. 62 Responses to Discover the amazing Pompomania and win a copy! I spotted five differences. I would love this book. I decided pompoms would be the best answer to my stash and scraps problems, and these pompom macaroons are just too lovely. Sure, this would be fun. My grands have been making pompom rabbits lately. I spotted 6 differences. This would be such a fun activity to share with my daughters – thanks for this opportunity! Love the book, I spotted 6 differences. I see 6 differences. What a cute book and a fun activity! Wow, I need to get my glasses checked. I only found two. Hello! I found six differences! Hi @all. I found 6 differences between them. I see six. I love pompoms. Would love to win this book! Thank you! Found 6 differences – and my 16-year-old granddaughter and I would have a ball (or a pompom) with this book! I have found six. This looks a fun book. I would love to be able to make pom poms like this. I spotted 6 mistakes. Love the pompom with the heart pattern. Would make a fun cot mobile. I saw 6 differences. I enjoyed the review of this book. Found six differences.Love pompoms to decorate sweatrs I knit for grandkids! Six differnces – fun book! 6, I think. 😉 This book looks great! I am going to share it with my new facebook group. 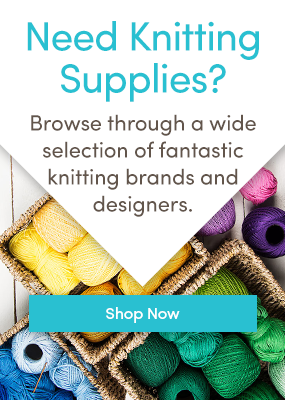 Knitting and Crochet Knowledge Bank. Six differences. Love the idea of the book and have fond memories of making pom poms as a child. Recently saw pom pom like mobiles in bright colors while in Mexico and had to bring home one for my newborn grandson. I would love the book! I see Six differences….and I’m sending a book to my daughter……maybe I’ll win one too! 6 differences. I love liquorice! I only spotted 6 differences. I have started showing the kids how to make pom poms and this book would be a great help. I have found six, I am just getting into doing pom poms and this book would be a brilliant start. p.s. what size pom-pom maker is 1 3/8″ pls? small? I Found 6 Differences Between The Two Pictures, Looks A Fun Book. I spotted six and LOVE the licorice candy directions. ? I hope to make them and put them in an antique candy jar. I spotted 7 differences! Thanks for having a giveaway! How cute! I spotted 6 differences and so did my daughter. We both love the book and will be buying one if we’re not lucky enough to win one! I spotted 6 differences. Love the book. Fingers crossed! There are 6 differences. I love the look of the book. I haven’t made pompoms for years so would love to try again ? I found 6 differences. Loving the ideas. I see 6. Love pom poms ! What a fun book! My youngest daughter and I would have a great time making these brilliant designs. I found six. I have just bought some pom pom makers but haven’t started yet due to lack of pattern inspiration, although I plan to make a big ball for my new grandson. I think this book might be the answer!